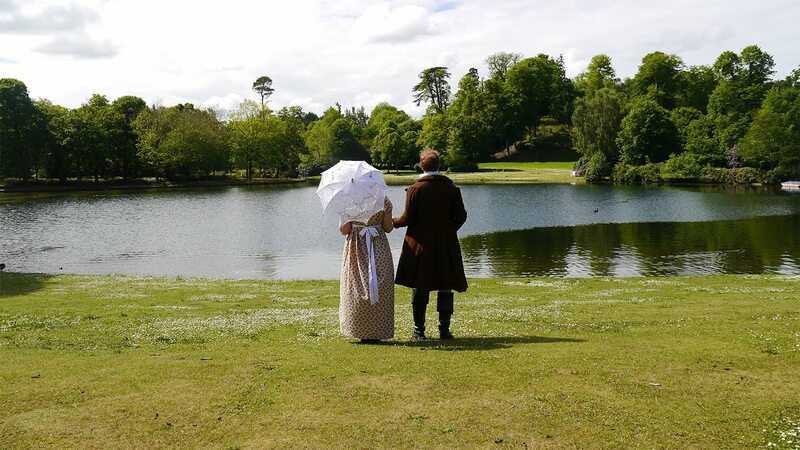 On Saturday 24th June, the nineteenth century returns to Claremont Landscape Gardens for an epic, costumed evening of music, games and promenades. 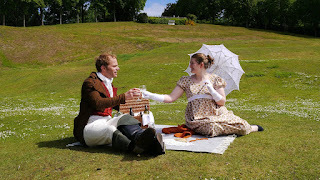 Bring a picnic and a bottle, and for the full experience, don your fanciest dress (or breeches!) and join the a parade around the lake. If you remember Claremont's fêtes champêtres in years gone by, you'll know just how fun it is to spend the evening in fancy dress. Go the whole hog and make or hire a Regency dress, or keep it simple and make a hat from a mat. After all, a Regency soirée is a great excuse to indulge in a posh picnic just like the Georgians! You can let your hair down like an aristocrat with a game of Pall Mall on the amphitheatre, whilst nine-pins and quoits will also be provided for your pleasure. There’ll be live music throughout the evening and a chance to take a scenic row across the lake. If that’s all a little too energetic, sit for a portrait in front of Princess Charlotte’s tea-house. At half past six, ladies and gentlemen in costume are invited to take the air on a grand promenade around the lake before taking supper, though budding Mr Darcys are requested to refrain from taking a dip!